In spring making bird ID’s is so much simpler, as every bird is dressed in their very best plumage – bright, fresh and ready to find a mate. But in fall, few birds look like the iconic field guide image for the species – why sport the fancy stuff when it sometimes get you noticed by the critters you don’t want finding you? 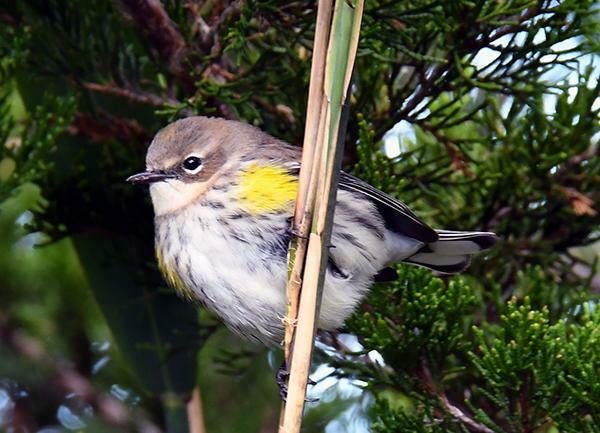 Fall offers a real ID conundrum – and not just with warblers who have a reputation for being especially challenging! Making the ID in fall for many birds requires really paying attention to the details and behavior… and maybe having a little help. For tips on ID’ing birds like Common Loon, Yellow-rumped Warbler and Chipping Sparrow who are commonly seen on fall migration and difficult to ID, check out this terrific article from National Audubon Society. What’s That Woodpecker Doing Now?